The elegant PJ Gallaghers Irish Pub as it sat in 2009 the day of my first shift. What great memories of Parramatta! 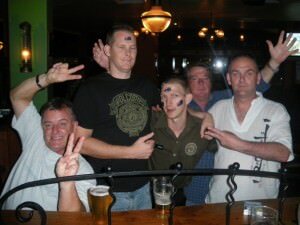 As long as I live I will never forget the magic of working in PJ Gallaghers Irish Pub in Parramatta, Australia. It sparked a new lease of life for me and was also my first job while living in the land down under. Fate led me there and I highly recommend becoming a barman/waiter in Australia – there are always jobs going in bars, pubs and restaurants in Australia. So if you can pour a pint and talk to people then you’ll get a job! 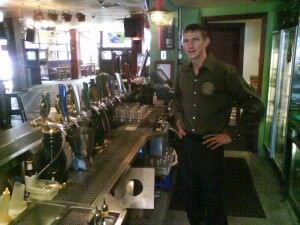 Working in my favourite ‘Brew Bar’ on my first day in Parramatta in 2009. You can tell I was ‘new’ – in this heat I was wearing long sleeves! How did I end up working in PJ Gallaghers Irish Pub? It’s a long story but it started in Taiwan when I realised I was heading to Australia in a couple of weeks with a valid Working Holiday Visa, I wanted to basically see a few sights in Syndey and start working straight away. Those that know me know I don’t linger on things long, and within a week of landing in Australia I had landed a job – the only job I applied for. 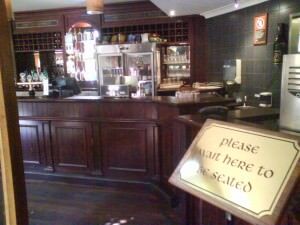 The Ground Floor Bar in PJ Gallaghers Irish Pub in Parramatta, AUSTRALIA back in 2009. On a quiet afternoon in Shinying in Taiwan I was lounging in my mate’s flat (he had wireless internet!) typing my blog and I just took a notion to find ONE Irish Pub in Australia and e-mail them asking for a job. It was that simple. 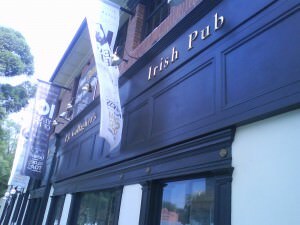 I typed in “Irish Pub Australia” on Google and picked the one that caught my eye of the top 10 hits that came up and that was PJ Gallaghers Irish Pub in Parramatta. I e-mailed one of the bosses asking for a job. It was that simple and I merely did it for the heck of it, thinking nothing would come of it, but it was a start. I got an e-mail straight away back asking to e-mail or phone Angela Gallagher on arrival in Australia to arrange an interview. I was happy with that and got on with my travels. The next 2 weeks saw me do a bit more of Taiwan, before heading to Singapore and Malaysia, from where we boarded our flight to Sydney. At home in the Brew Bar in PJ Gallaghers Irish Pub in Parramatta. This was my “home” for a year or two! Happy times with Nicole on the Brew Bar on Australia Day in 2010. In the pub, I worked a real mixture of shifts and tried to get as many hours as I could. I did day shifts on the bar, down in the restaurant, in the cellar, being storeman, anything and everything. Some Saturday nights I’d start work at 6pm and finish at 4am. I raked in the hours, enjoyed the discounted staff food and drinks, the generous tips and the whole lifestyle of it all. I was either working in the pub, at home writing my travel stories or out exploring Parramatta and Sydney. I was saving hard and fast too. I shared a room with 2 mates and also slept on a mattress for about a year of it. With all the locals in Brew Bar!! Main job – keeping their beers filled up and the sport on the TV! Having settled in so well and loving being a bartender down under, my flat mates got itchy feet for travel and somehow I ended up moving to Tasmania after 4 months in New South Wales. I had no idea where life was leading me and in truth this sowed the seeds for my epic Antarctic adventure. So I left PJ Gallagher’s Irish Pub for 6 months to work on farms and travel, then I returned again to the same pub job and flat! I truly arrived in lucky land when I arrived in Australia. Drinking competition with one of the locals Phil on one of my “leaving parties” from the pub! The owners of PJ Gallagher’s Irish Pub were of Irish descent. I enjoyed chatting to Patrick, the owner, a great businessman who even modelled one of their pubs on the Crown Bar in Belfast. The company were an absolute pleasure to work with and I stayed working with them until early 2011 when the pub was sold to a group called Iris Hotel Group. The pub was re-branded as PJ’s Irish Pub and in a final swansong I worked for a few more months for the new company before boarding a flight to Hong Kong where I got a job while I was basically meant to be on holiday there! 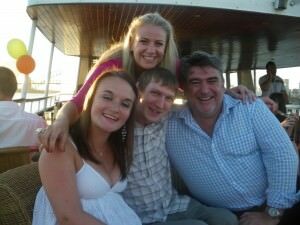 With Patrick and Angela the owners plus my co-worker and Irish lady Jenny, taken on a boat cruise party with the pub in January 2010! I think of PJ Gallagher’s Irish Pub all the time and I still chat to a lot of my workmates through Facebook. That pub will always hold a special memory for me. I left Australia in June 2011 and haven’t been back since. One day I will return to the current PJ’s Irish Pub and rock up to the bar I once worked in and order a Guinness. 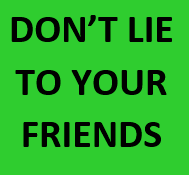 A big shout out to all the staff that I worked with in PJ Gallagher’s Irish Pub – won’t list them all as there are too many to mention – they know who they are!! Danthonia – the designers of the cool PJ Gallagher’s Sign! 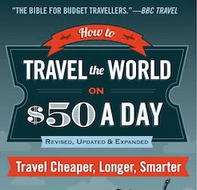 I’d like to thank Angela and Patrick for giving me the job and influencing my life – I created a new lifestyle in Australia – a lifestyle of travel ! Sure I left Northern Ireland in 2003 and have been travelling a lot for 10 years now but the job in Parramatta without doubt changed my perceptions on life. 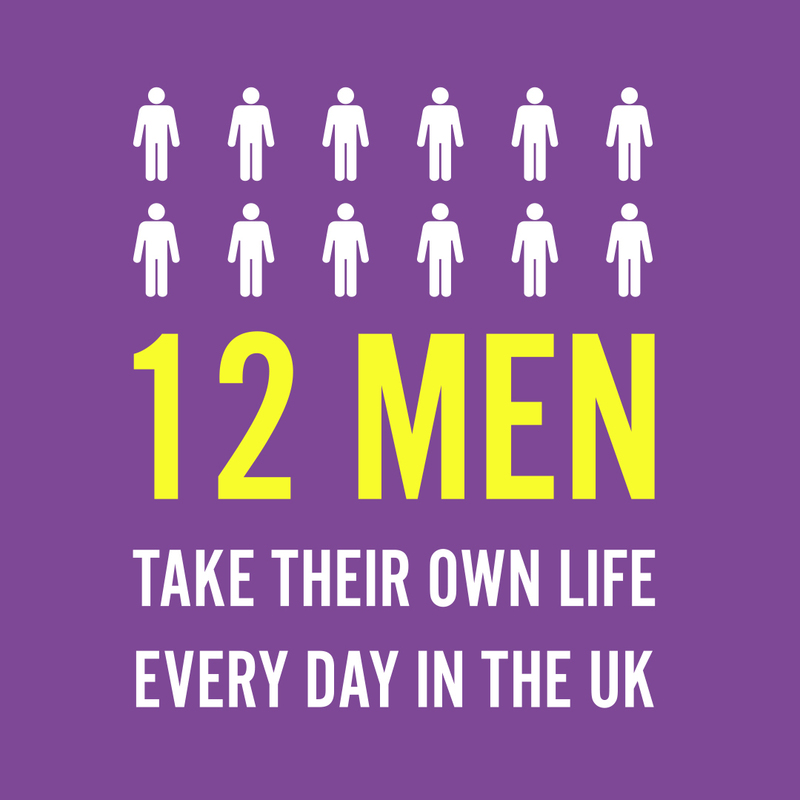 I loved working in the pub, and have used experiences like it to design a lifestyle of travel. I hope some of you reading also take the plunge and head to Australia to work in a pub. Highly recommended and if you fancy a pint of Guinness in Sydney, you know where to head – PJ Gallagher’s! 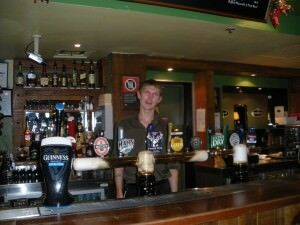 This entry was posted in Australia, Bar Work, Bars, Daily Features, Destinations, Irish Pubs, Jobs, New South Wales, Oceania, Parramatta, PJ Gallagher's Irish Pub, Working Wednesdays. Bookmark the permalink.